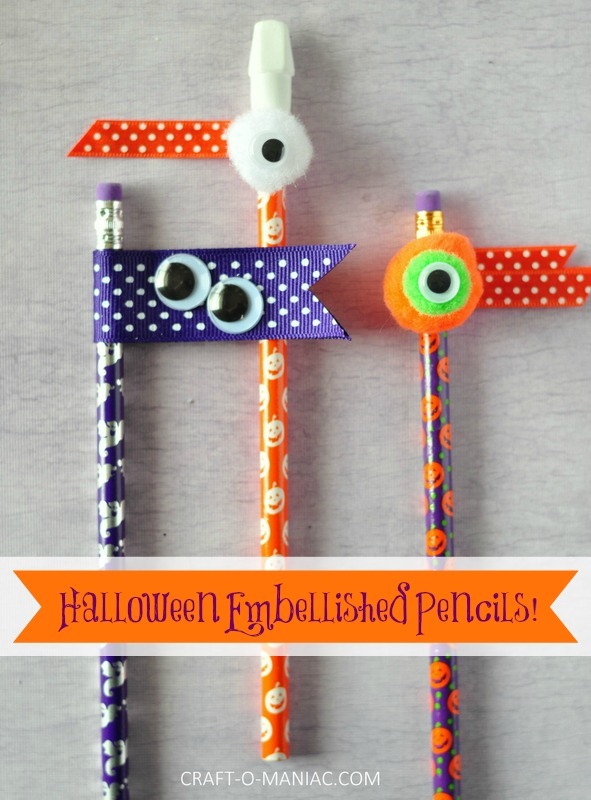 Hi friends, if you are wanted a candy-less Halloween handout for your kids P-K, or Kindergarten class, I have the perfect and easiest craft, and the kids can get involved too. 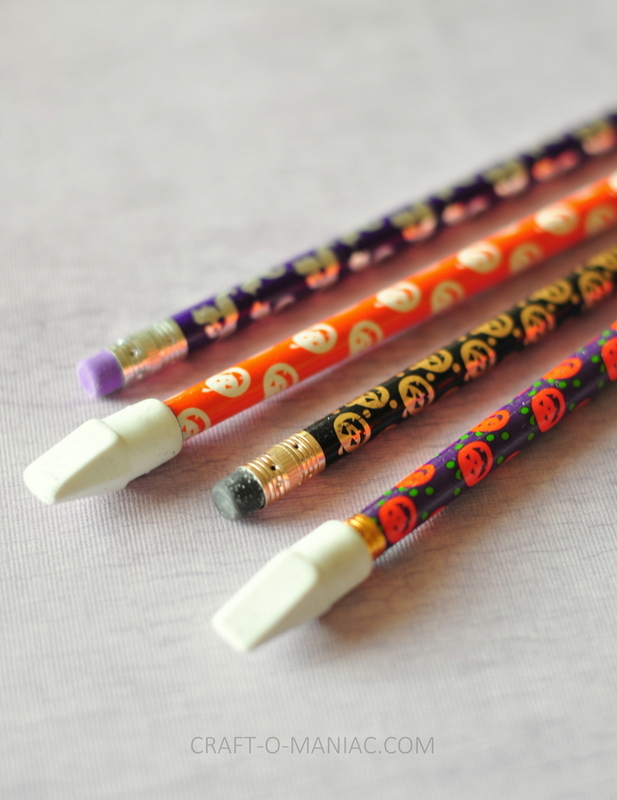 Today I am sharing these Halloween Embellished Pencils. 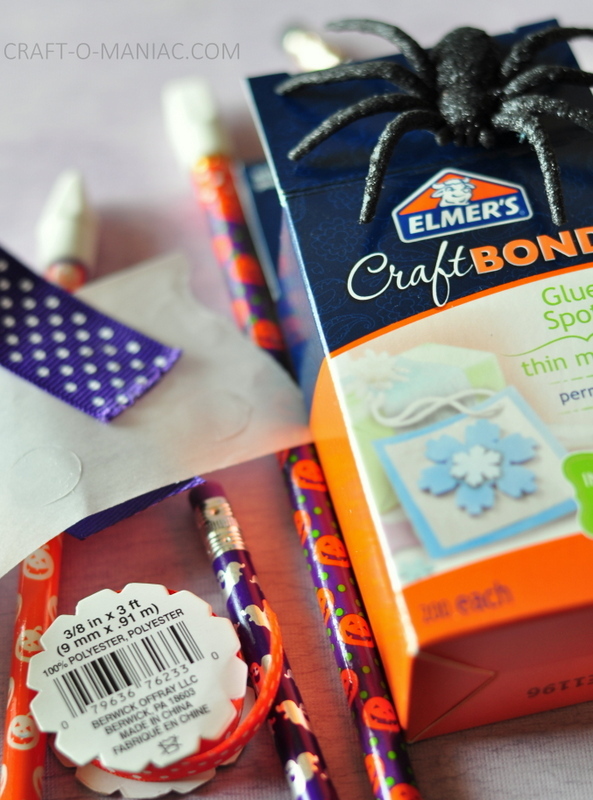 – and Elmer’s Craft Bond “Glue Spots” in small and medium sizes. 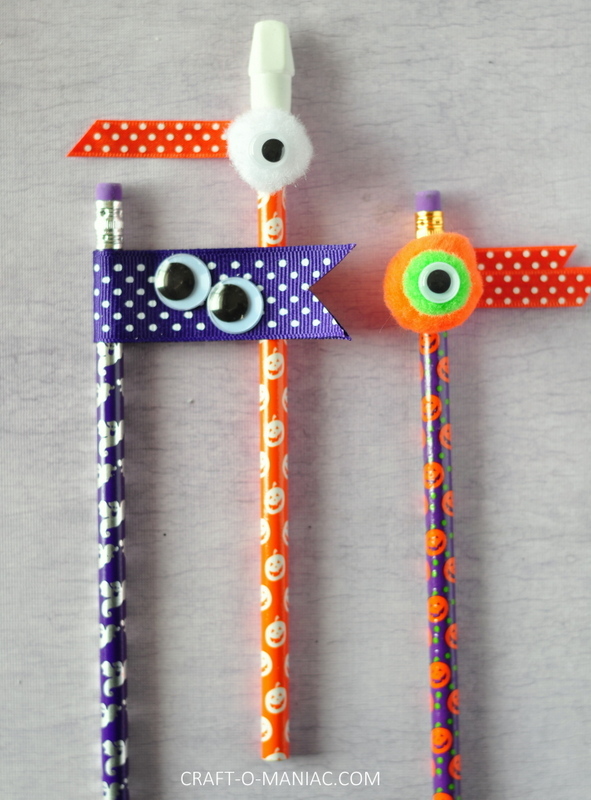 How To: This craft is easy, and again as I mentioned above it would be fun to have your kids help out. 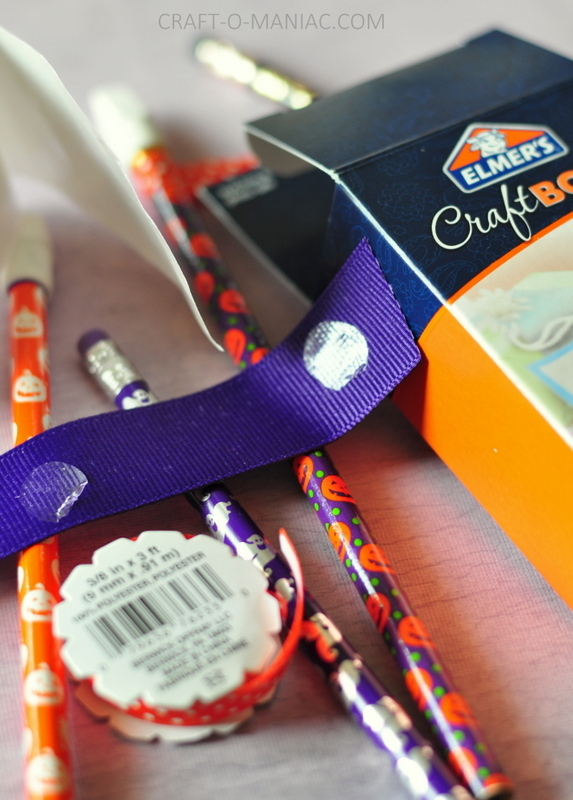 I simply just cut ribbon to size wrapped it around the top of the pencil (under the eraser) and with Elmer’s glue spots, glued the ribbon together. 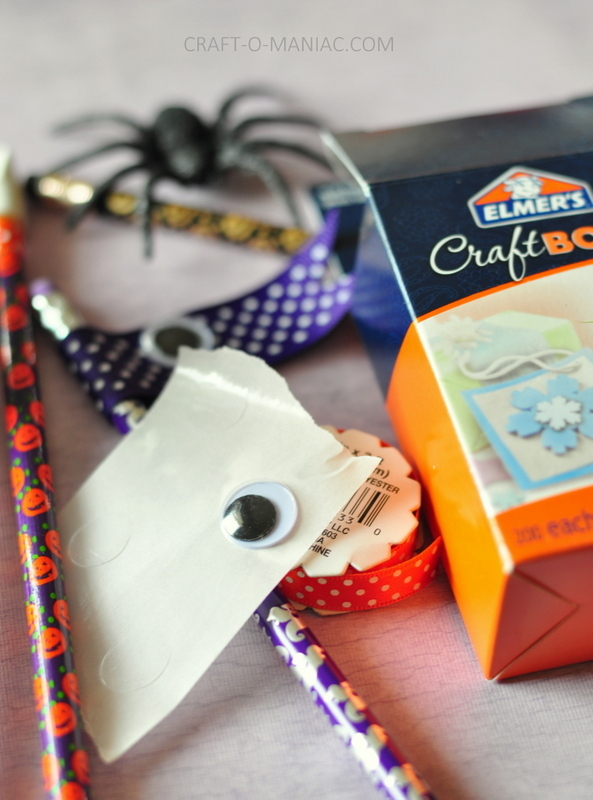 I also used the glue spots to adhere the pom poms and googly eyes. You could even add small spider rings, or other small spiders. 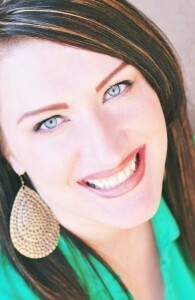 You really can embellish them how you like. Lets take a look at these cuties. I also had some fun with an Elmer’s Painters pen. 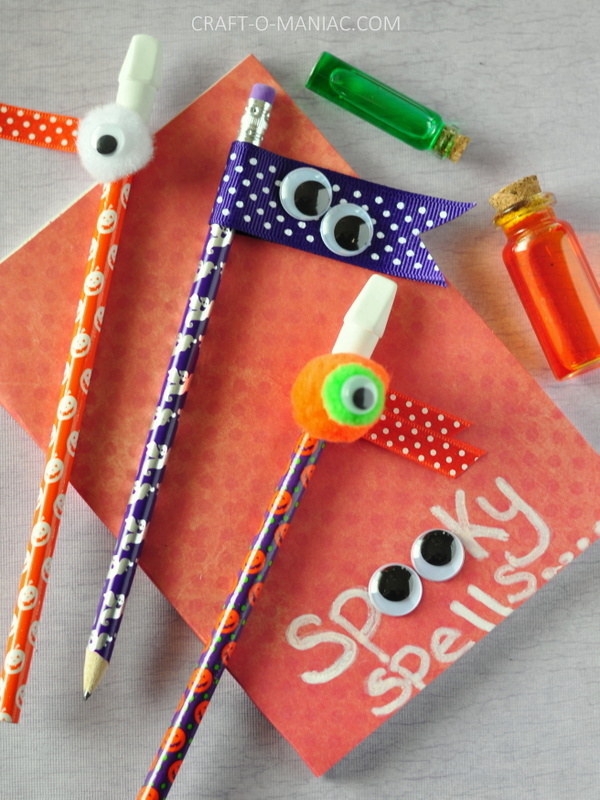 I wrote the words “Spooky Spells” and added the googly eyes. 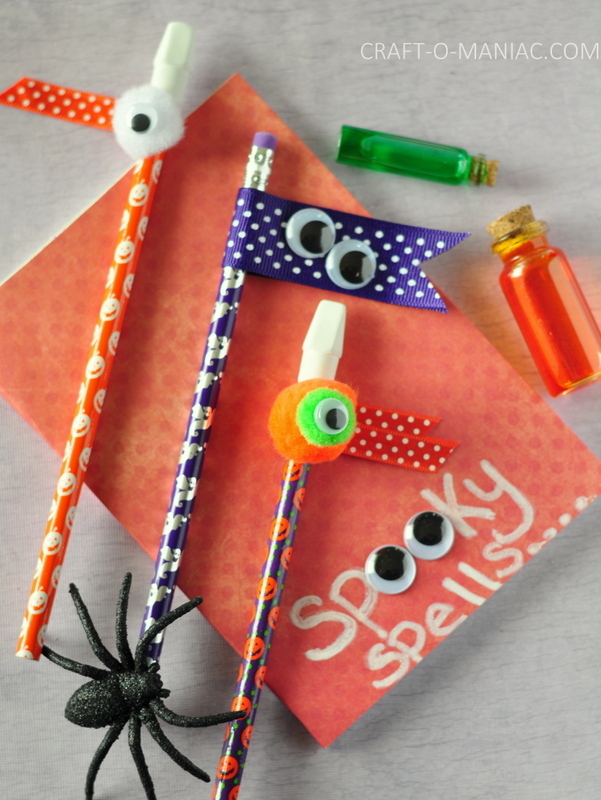 The notebook and pencil would make super cute party favors at a Halloween party/birthday party. So much fun. 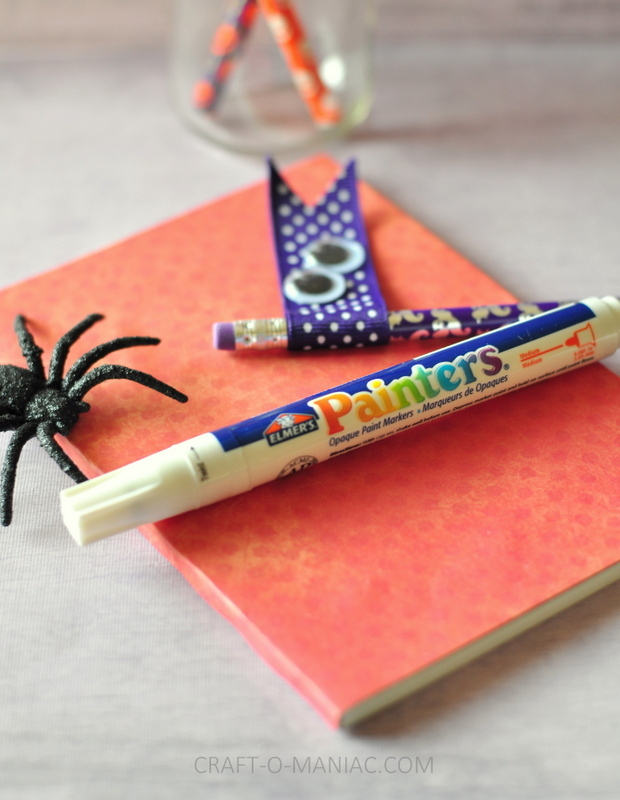 I love the idea of a candy-free Halloween goody. 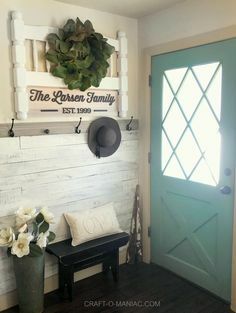 I like it, because it’s simple and creative. Very good! 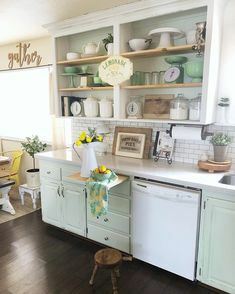 I loved the idea. 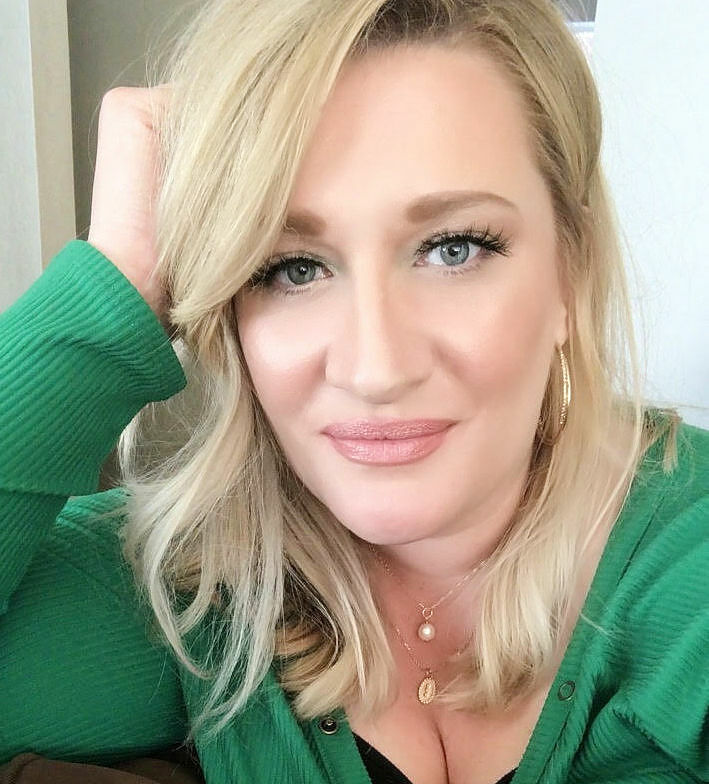 I work in school and I will teach my students. I’m sure they’ll enjoy it. I showed your blog to my niece and we did it together. She loved the idea.